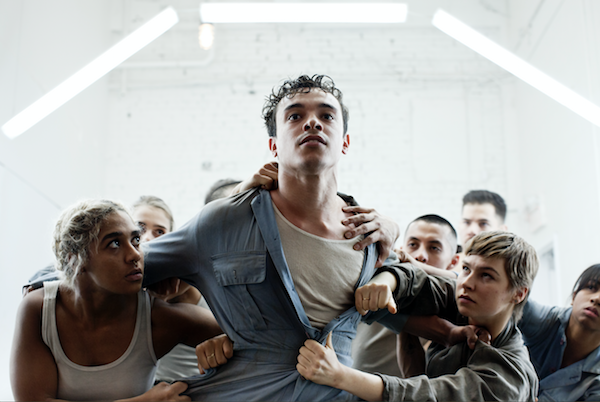 TITAS/Dance Unbound, in association with the nonprofit AT&T Performing Arts Center in Dallas, has announced its 2019-20 Season, featuring 10 extraordinary companies from the United States, Canada, Mexico, South Korea, France and China. Four of these companies are making their Texas debuts in Dallas with TITAS. Kicking off the season on September 20, Ronald K. Brown/Evidence (USA) will return to Dallas with mixed rep, including the extraordinary work Grace, originally created for Alvin Ailey American Dance Theater. On October 25 and 26, BODYTRAFFIC, “one of the most talked-about companies nationwide” according to the L.A. Times, is back. Then a couple weeks later on November 8 and 9 Ballet British Columbia flies in from Canada to present two shows. Viva MOMIX arrives December 13, ready to showcase the “wit, beauty and sheer physical daring” (NEWSDAY) that MOMIX has become known for. In its Texan debut, Mexico’s Delfos Danza Contemporánea launches 2020 for TITAS/Dance Unbound with its evening-length show, Cuando los Disfraces se Cuelgan (When the Disguises are Hung Up). Set for January 31, it is a reflection on appearances and the disguises we put on in order to navigate our world. Malandain Ballet Biarritz from France is next, set for February 7 and 8. TITAS first presented the company in the 2014-15 Season. The troupe was meant to perform Cinderella/Cendrillon but alas, in a true live theatre moment, the sets, props and costumes never made it off the boat from France. On the fly, and after a scramble, the company presented a spectacular repertory performance. Now in the 2019-20 season, the Cinderella sets, props and costumes are finally arriving to offer a fresh vision of an iconic story ballet. In its Texan debut, BeijingDance/LDTX (LDTX), China’s first officially registered private professional contemporary dance company, will present its evening-length work ARC on February 28 and 29. Shortly thereafter, the renowned Alvin Ailey American Dance Theater returns on March 13 and 14 as part of its annual North American Tour. 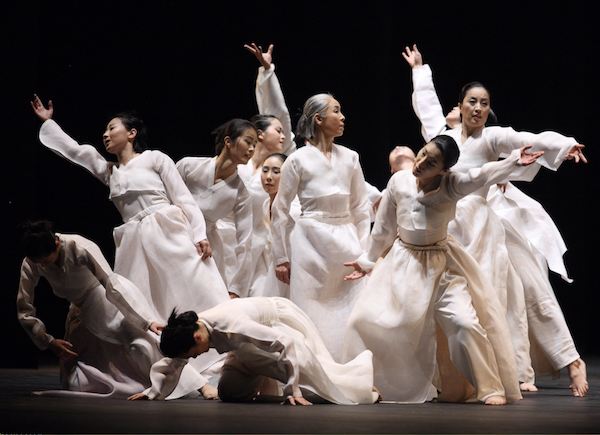 KIM MaeJa/ChangMu Dance Company from South Korea will help ring in spring 2020 as it presents one performance on April 11. Recognized today as the leading performer and creator of Korean contemporary dance, the troupe has toured to 100 cities in 20 countries over the past 35 years. This will be its Texas debut. Founded in 2002 by Victor Quijada, RUBBERBAND immediately imposed itself in Canada and abroad as an explosive one-of-a-kind troupe. In 15 years, RUBBERBAND has not only redefined breakdance, but it has opened the way for new creators fascinated by this dance form. Delivering delicacy, finesse, brutality and high-voltage action, Victor Quijada’s Ever So Slightly, performed with live music, is an exciting addition to the TITAS season on May 1 and 2. Wrapping up the season, the special Command Performance will be presented June 6. Artists from leading companies will light up the stage with spectacular performances. For more information on TITAS/Dance Unbound and its upcoming 2019-20 Season, visit www.attpac.org/titas. Photos: Delfos Danza Contemporánea (top) captured by Martin Gavica; ChangMu Dance Company (left); and Rubberband (right) captured by Mat Doyon.